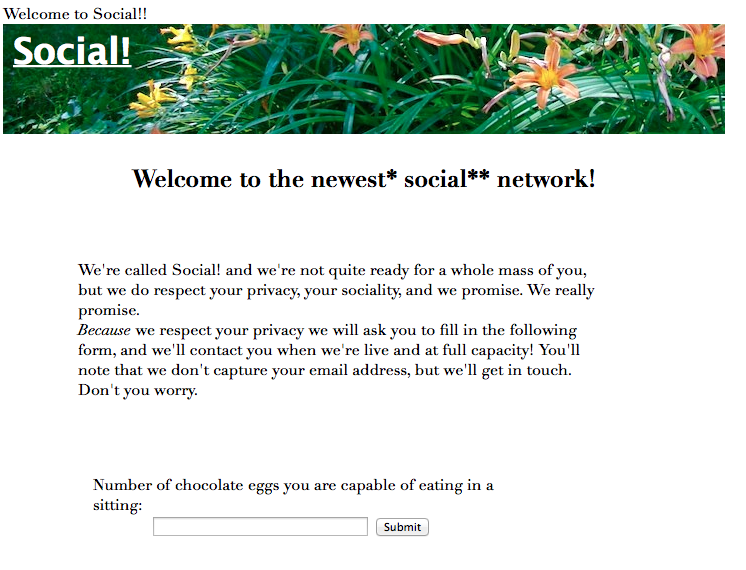 Perhaps inspired by Ello and the rise of a myriad of alternative social networks which promise to right all the wrongs of the previous generation of social networks, my buddies and bunch of scamps at Supertart.com (inventors of the Price of Tea in China calculator) have launched their own social network. It’s likely going to be my preferred network, since it seems to be relatively free of advertising, data collection, and social stuff. Perfect for the writer or human who just wants to stop messing around on the internet and get stuff done. So go on and check it Social!. I would send you an invite, but I’m still waiting for mine.